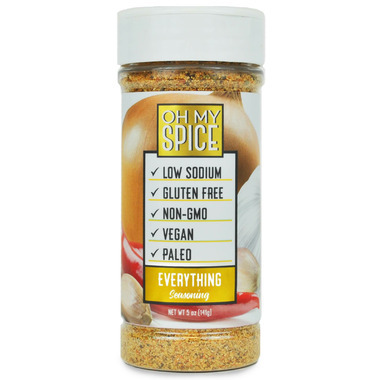 Oh My Spice is an all natural gluten free seasoning created by a team of individuals who value health, fitness, and enjoying good food along the way! These seasonings use high quality ingredients and that’s IT. There is no room and no need for additional fillers, preservatives, or artificial ingredients! 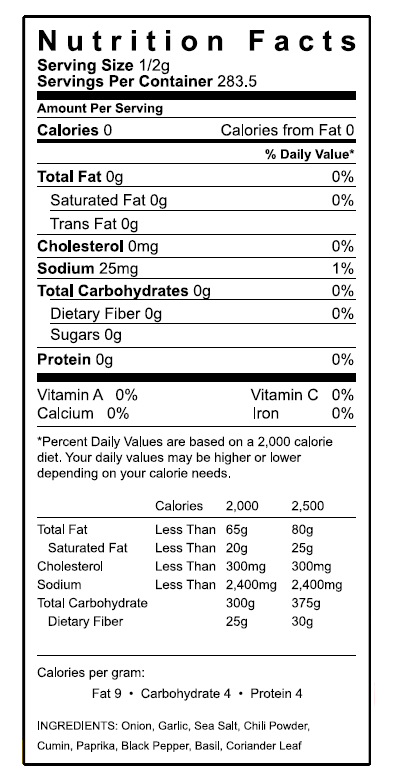 Enjoy every bite of your Oh My Spice meal knowing that all of our seasonings are also low in sodium, gluten-free, dairy-free, MSG-free, and basically free of any nonsense! Oh My Spice Everything Spice gives you the best of both worlds. Whether you’re in the mood for a grilled steak, roasted veggies, or possibly pasta… this seasoning goes with just about Everything! I love this spice and I really do put it on everything! It is great on raw or cooked food. I use it daily!! !